It looks like Samsung will launch the new Galaxy Sport smartwatch at the same event as the new Galaxy S10, but some close analysis of leaked renders show it could be missing one of Samsung's best features. 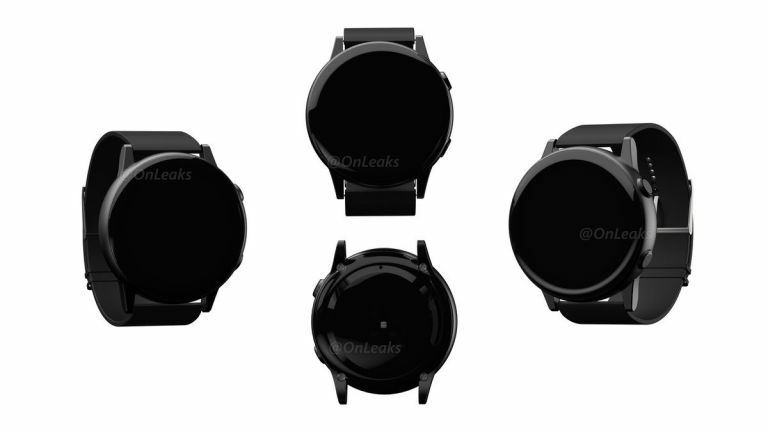 Yep, that rotating bezel we loved so much on the Samsung Galaxy Watch could be omitted, if the renders are accurate. The renders were first leaked nine days ago by reliable tipster OnLeaks, who claimed they're based on "factory data". The most notable aspect of the new design, apart from the new fluid case, is that the render doesn't show a bezel. This would be a massive shift from previous Samsung smartwatches, which set themselves apart from the competition with the useful rotating bezel. It was a great way of navigating Tizen OS. Of course, as Wareable points out, the omission could be because these renders are not official, and the bezel will make an appearance on the final design. Alternatively, we think Samsung could be trying to compete with Fitbit in the sub-£200 category. That would mean it would need to cut costs, and the complex rotating bezel mechanism seems like an obvious sacrifice. Whatever the reason, if the leaked release date is true, we won't have long to wait until we find out. We'll be at the event to bring you the latest news, but you can watch it as it happens, too. To watch the Samsung Galaxy S10 launch live stream, simply head to https://www.samsung.com/uk for live streaming coverage on the day, that's 7pm GMT on Wednesday 20 February.